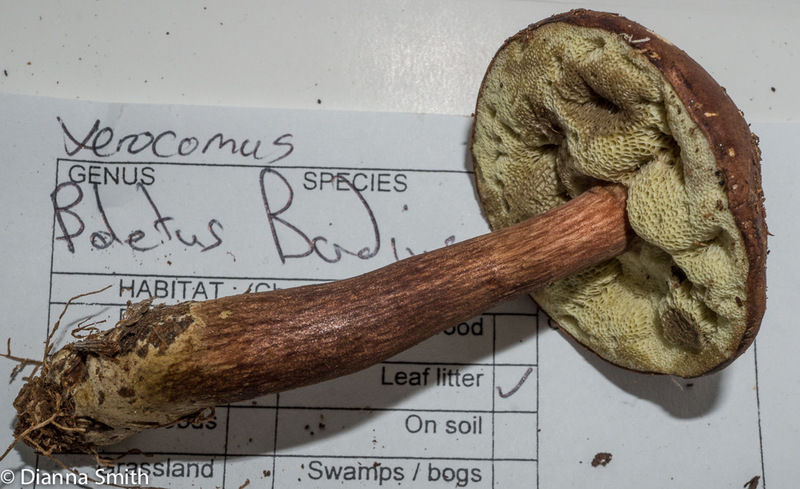 Imleria badia (Xerocomus badius, Boletus badius), the ‘Bay Bolete’, has a reddish-brown cap and a somewhat paler concolorus stem. The white flesh may bruise yellow-brown, but the tubes which are depressed round the stipe, bruise blue. The tubes are of medium length. Its small yellow pores turn olivaceous with maturity. Can be found in conifer woods. In fact it sometimes grows from dead conifer wood. Edible.